Andrea Zambrano is a first-year graduate student at the NYU Institute of Fine Arts, where her research interests lie in the study of Latin American art. Andrea received her BFA in Fine Arts from the Fashion Institute of Technology with a minor in Art History. 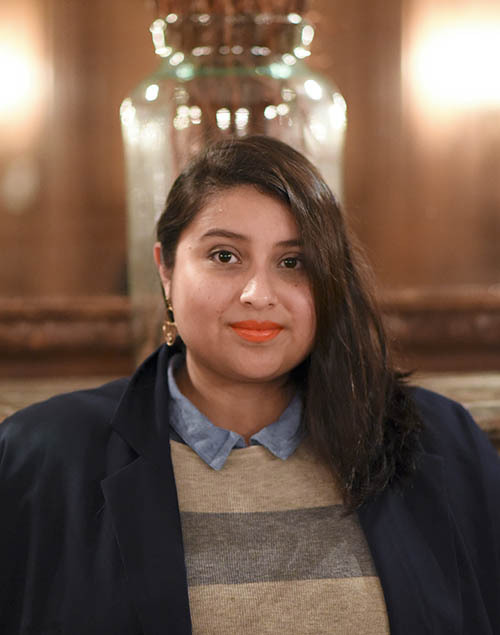 She has held internships and positions in New York’s top art and historical institutions, such as the Metropolitan Museum of art and the Lower East Side Tenement Museum, working in various departments such as museum education, collections management, and public programming. Andrea looks forward to applying her experiences with the Curatorial Collaborative to her studies and her further professional development.